On my daily perusal through the blog PerezHilton, I noticed a large collection of articles circulating around crazy celeb antics and the best/worst dressed of Hollywood. The question that immediately came to mind is – who cares? And the unfortunate answer is that along with a large fraction of the U.S. – I do. The truth is I find it fascinating that a core group of people can make such an impact on the culture of our entire country! Now by no means do I consider myself a celebrity, but as VP of Programming for the University Program Board, I get the opportunity to choose what events and programs come to JMU, making my own impact on this campus. Whether it’s analyzing student surveys to choose who should come to Convo, the themes of the Late Night Breakfasts, or the details of a Matinee Movie, I work with all five of the UPB committees on a daily basis. My favorite part of my job is developing events that begin as crazy ideas and turning them into reality, like premiering the Oscars and Grammys on the big screen at Grafton, or starting up a student concert series. I encourage anyone who wants to be heard and make decisions on campus to apply for a position in UPB. It’s time to make your own impact! There are a million and three reasons why the VP of Membership Development is the best position to hold on Exec. I spend my days doing exactly as the title says, developing members. From new members of UPB, to current members, I am fortunate enough to work with them all. My favorite part about my position is not being restricted to just one committee. I facilitated picking the new members, as well as training them during P.I.T. Crew (Programmers in Training). This means that every Sunday evening for six weeks, I spent an hour getting to know 60 amazing people. After orienting them to UPB, I was able to really focus on the rest of our members. My most recent projects include implementing ways to recognize our members for all of their hard work, as well as planning a UPB-wide game of Assassins. My other responsibilities include holding current members accountable and planning professional development activities. If you enjoy meeting new people, or working with people in general, this position is perfect for you! Wiz Khalifa. The first thing that probably pops into everyone’s head is “Black and Yellow, Black and Yellow, Black and Yellow, Black and Yellow..” However, the second thing that will now come to mind is that he is coming to JMU as part of UPB’s Spring Convocation Concert! Headlining for The Campus Consciousness Tour, Wiz Khalifa will be performing along with Pittsburg rapper Mac Miller, and an unannounced special guest. UPB is bringing Khalifa due to his high popularity among students according to our survey released at the end of last semester. Although other artists had higher poll results (Kid Cudi and Ke$ha), we were unable to bring them do to price and date conflict issues (Read our past post: Heartbroken Over A Kid). However, Wiz Khalifa still garnered immense interest from the student body, and we believed it was the best choice for this spring. We are very excited to team up with The Campus Consciousness Tour too! “Half rock tour, half environmental campaign, CCT aims to inspire and activate students in an electric atmosphere while leaving a positive impact on each community the tour visits. In addition to educating and mobilizing students, the tour includes many greening elements and is run to have a minimal environmental footprint.” The CCT is a project started by Reverb, a non-profit organization dedicated to “greening work with bands and artists” by teaching sustainable practices to a variety of music industry leaders, including venues, record labels, and radio stations. 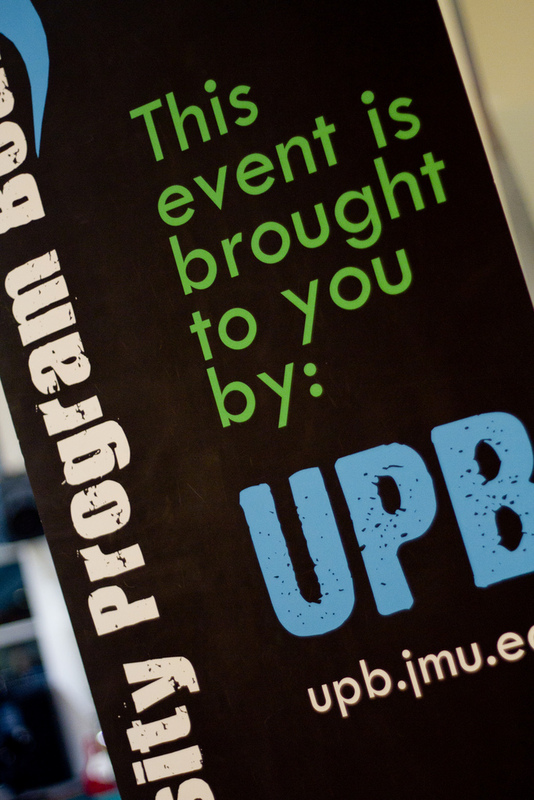 UPB is excited to work with this great organization and show that all of us can be active participants in protecting the environment, which will in turn create measurable change. UPB’s Spring concert, The Campus Consciousness Tour featuring Wiz Khalifa, will be held on Saturday, April 2nd, in the Convocation Center. Tickets will go on sale in the Warren Hall Box Office and online at upb.jmu.edu at 8 AM on Wednesday, March 2nd. Tickets are $28 for floor/ public/ day of show, and $25 for reserved seating with a JACard. Be prepared for the unexpected. As VP of Marketing and Communication I oversee a lot of different marketing related tasks. One of those tasks is promotion meet and greets with the artist of the event. Weeks of planning go into the meet and greet. First, we have to deal with talent management and our middle agent to get approval. Next comes figuring out the right way to give out the passes so we can hopefully increase ticket sales. Then we create the logistics of how the meet and greet will go at the event. But after all that planning something always seems to change and keep me on my toes. Whether it’s a room change for B.o.B., Michael Ian Black having an open meet and greet that 250 students want pictures and autographs, or my personal favorite Corey Smith changing the time of the meet and greet from before the show to after (and telling me a story when one meet and greet winner bit him). After all the planning and all the changes I still enjoy what I do, and if you can plan as well as problem solve so can you. While home on break, I always enjoy getting together with my family. All my aunts, uncles, cousins and grandparents get together for a nice family dinner. One of my favorite parts of the get together has to be after dinner when we all partake in a family board game. Over this past break, the game of choice was Pictionary, seeing the different pictures my family tried drawing and their ridiculous guesses was hysterical. Nothing is better than a little friendly competition between family and friends, well maybe only if you win. If you enjoy food, games, and good company just as much as I do, then you should definitely come to the Board Game Late Night Breakfast on Thursday, January 20th from 10pm to 12am in Festival. I personally cannot wait for the life-sized games such as Connect 4 and inflatable Twister. Hopefully I will be able to get my Monopoly board filled before the end of the night! And while all this is going on breakfast food will be served, a capella groups will be performing, puzzles will be available, and prizes will be given out and everything’s free! What could be better! My life growing up was a little bit different than most kids. Up until high school, my parents had a strict “no television” rule on school days, and even on the weekends the amount of time my two younger brothers and I were allowed to spend watching TV was limited. Me being the mischievous person I’ve always been, I obviously found ways around this rule. One day, I was over at my best friend’s house when I had my first interaction with reality TV. When she asked me if I had seen the latest episode of “The Real World”, I told her I hadn’t seen it, let alone heard of it, and she reacted as if I was insane! She briefed me on the premise of the show and described all the characters, and to be honest I was confused as to what the point of reality television was. I didn’t understand why watching the lives of individuals other than myself could be interesting. To me, watching people go out and live their lives when I could be out living my own life seemed silly. However, after that first dose of reality television, I was instantly hooked, and now it’s safe to say that reality television one of my “guilty pleasures”. I have quite a few reality shows that I can’t miss each week, but I’ll always consider “The Real World” my favorite. When I was younger I literally thought these “seven strangers” had the coolest lives. I always joked around about how I was going to apply the second I was old enough, but deep down being on the “The Real World” was something I really wanted to achieve. Call me crazy, but I think an opportunity to pick up your life and live somewhere else with complete strangers, making memories along the way seems like a pretty awesome way to live for a few months. Once I was in college I was worried that if I was actually chosen to go on the show that it could potentially harm my future chances at a successful career. However, I’m a free spirit and I tend to take chances and when my friends started bugging me to apply because they all thought I’d be a perfect candidate, I eventually made moves. After I applied, months later I received a call from Bunim-Murray Entertainment, and Iiterally screamed out in excitement in ECL. Unfortunately, due to a conflict with finals week, I was unable to attend the next interview. I’m planning on applying again this year, and I really hope I get it. I graduate this May, and I definitely wouldn’t mind putting the real world on hold to be on “The Real World”. Who knows, maybe you’ll see me on TV one day! For all of us at JMU, today and yesterday was the first day of classes for the semester. However, for some of us at UPB (myself included), it was the last day of the first day of classes…EVER! Being a senior has finally sunk in with the realization that this is my last semester, and last set of classes. You might think, “Lucky you!” No more new books. No more bad professors. No more getting lost trying to find a new classroom. But honestly, I’m scared for the real world! Ever since I was a little kid, I looked forward to this first day: the feeling of building anticipation, the shopping trip to buy school supplies, getting new clothes, a new schedule, a new routine, and new friends to meet. Now, come August, I won’t know what to do. Everyone will be getting back to JMU and getting ready for a new semester and another “First Day”. 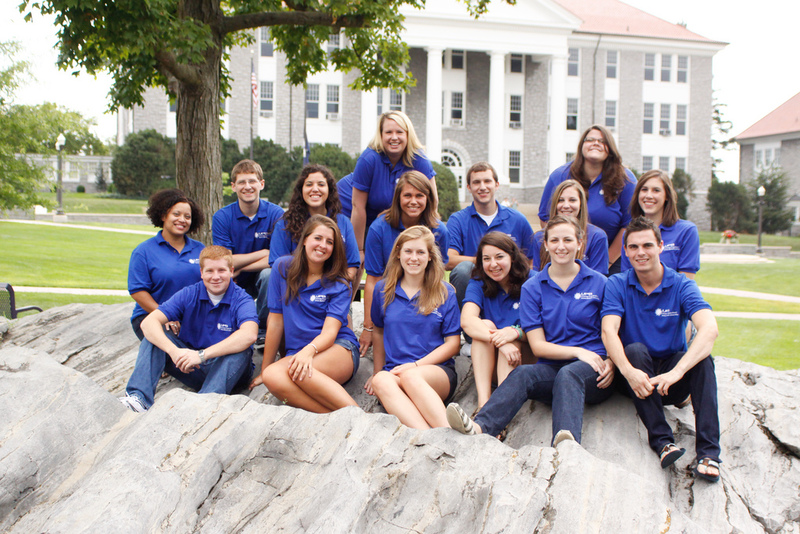 But I will be off working somewhere, wishing I could be back at JMU. Regardless, I can’t turn back the clock and now will never have another “first day” again. But knowing this semester is my last, I plan on making it the best! Spending time with my best friends, going to all the UPB events I can, laying out on the Quad in the spring, and yeah even going to classes, I will make sure to make the most of my last semester at Madison!